The SDR is online 24×7 for your enjoyment. If you find the SDR useful consider making a small donation to help with its upkeep. Access other SDR from around the world. 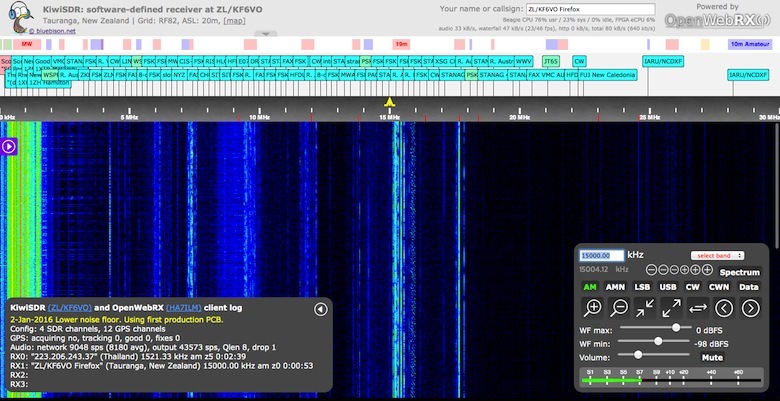 In April 2016 the KiwiSDR project was born on Kickstarter, the plan was to produce a software-defined radio (SDR) covering shortwave, the longwave & AM broadcast bands, various utility stations, and amateur radio transmissions, worldwide, in the spectrum from 10 kHz to 30 MHz. The first time I used one was when Dave G7UVW added his to the SDR.hu website. Dave has recently moved his SDR to a remote site in the Secret Nuclear Bunker Kelvedon Hatch. You can listen to this SDR online. After using it for a few weeks via the web browser I was sold, it was ideal for HF monitoring, and with remote access with up to 4 independently tunable receivers. 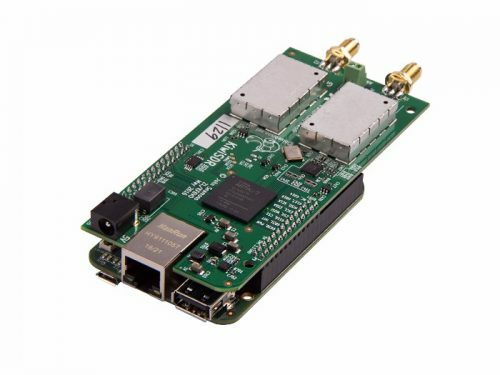 The idea of having your own web based SDR always online, and accessible from anywhere in the world was very appealing and coupled with an active antenna the performance if very good. The advantage of the active antenna is it works well over the entire HF spectrum, it’s especially good below 5 MHz. I use the Wellbrook loop mounted outdoors at around 5m, but you may be interested in a much less expensive project version as detailed by George M1GEO. The SDR software has a built in WSPR decoded that works really well, and with time they hope to add further features. I’ve been updating the station text, its work in progress but I’ve added quite a few of the medium wave station names. Have a listen with my SDR, I understand Safari, Firefox and Google browsers work best. The display is not mobile friendly at the moment, but it does seem to work OK on the IPad. Be sure to let me know how it works, leave us a comment and don’t forget to include your town/country or callsign.